Review "What Makes Us Human: Cooking". 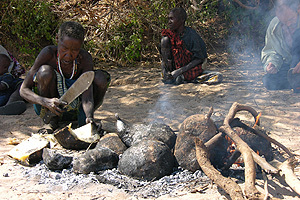 Evolving Bigger Brains through Cooking: A Q&A with Richard Wrangham by Rachael Moeller Gorman, December 2007. Scientific American. University of California, Santa Cruz Newsletter. Extra gene copies were enough to make early humans' mouth water. September 09, 2007 By Tim Stephens.